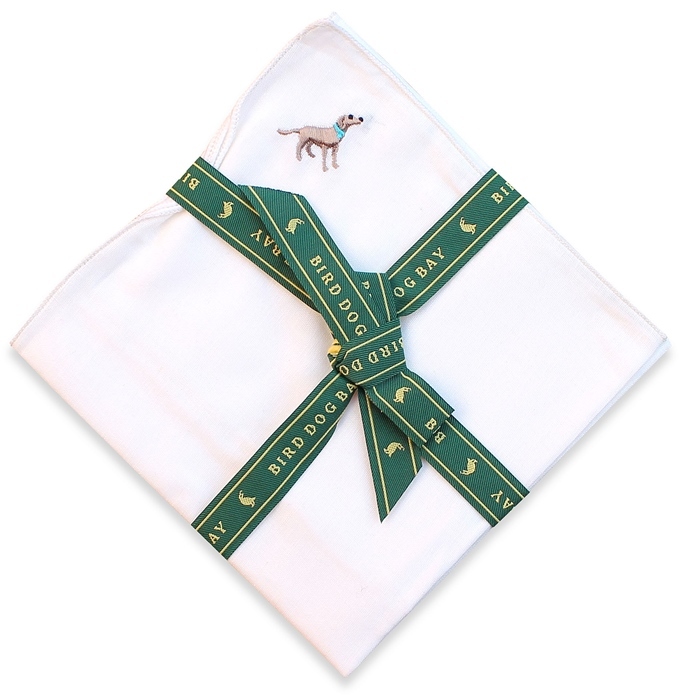 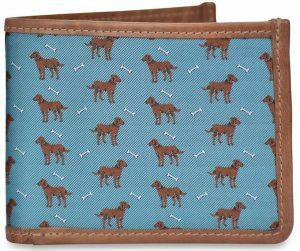 View cart “Give a Dog a Bone: Billfold Wallet – Green” has been added to your cart. 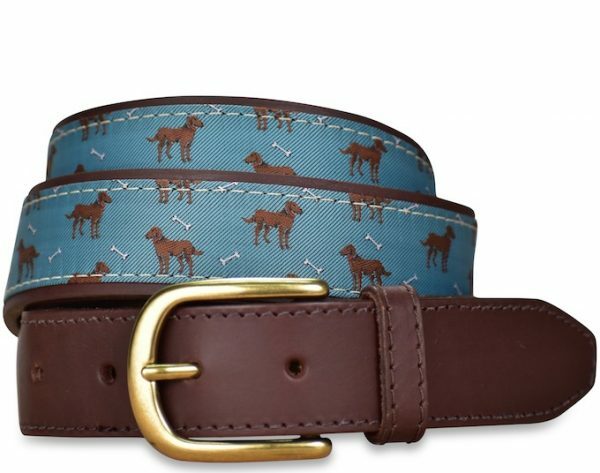 Man’s best friend indeed! 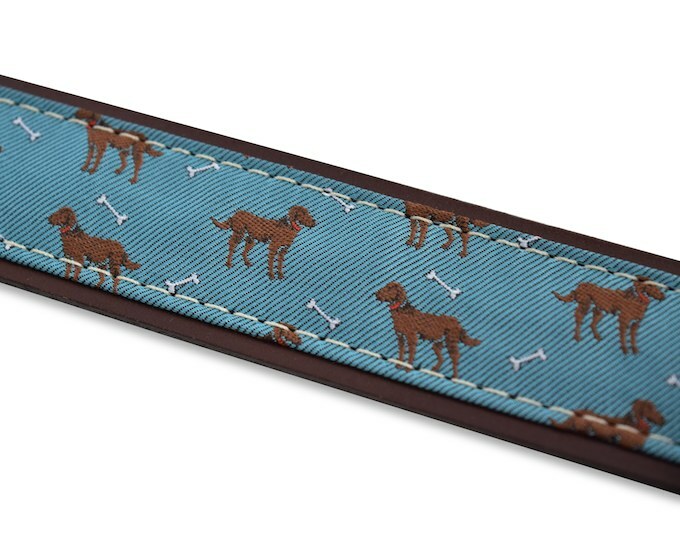 This fetching woven shows off the detail of these clever canines and their neverending quest for their bone. 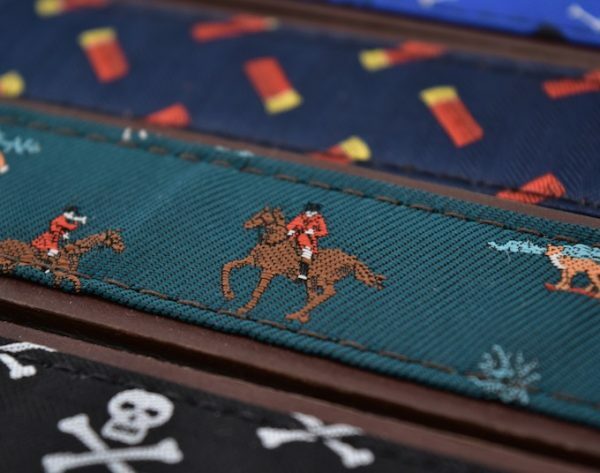 Our new belts feature our English woven designs, crafted at one of England’s oldest mills. 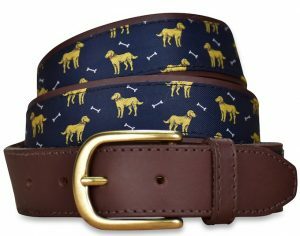 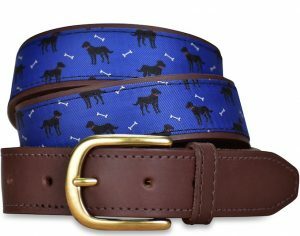 Backed by latigo leather, each belt is 1.25″ wide and features a tarnish-proof brass buckle. We recommend ordering 2″ larger than the waist size for a blue ribbon fit. When the waist is an odd size, increase the belt size by 3 inches. 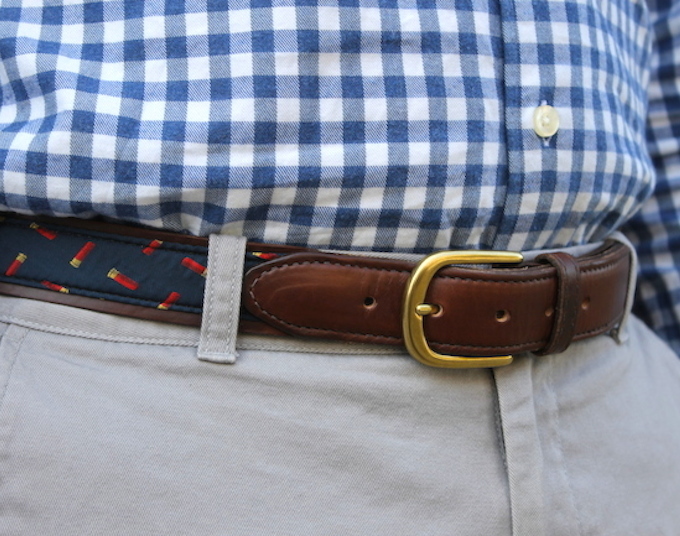 For example, a 33″ waist would order a 36″ belt. 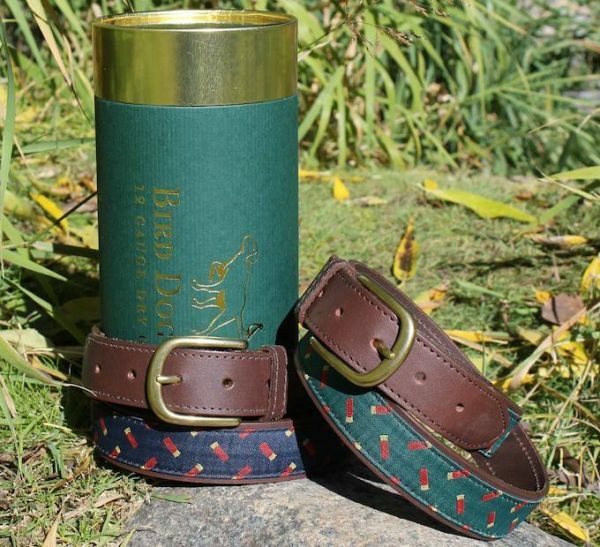 Our belts come packaged in our custom 12 gauge gift tubes.